2019 tour is underway! We will be visiting over 100 cities over 2019 (giant clock-wise loop around the U.S.). Additional dates / locations will be posted soon. You can see the schedule here. You can take the controls of the famous fighter! Majority of cost is a tax-deductible donation to a 501c3 educational non-profit. … Now they fly on missions that are quite different than those of so long ago. Their mission for today is to educate the world about our courageous World War II veterans and to remember those who have left us. These aircraft stand as tributes to their crews and fly on as living history to enlighten future generations. The best way to relive this history is to take a once-in-a-lifetime flight on board the B-17, B-24 & P-51. The Collings Foundation is proud to offer our Flight Experiences on our Wings of Freedom Tour in over 110 cities annually. 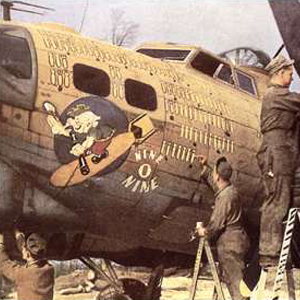 Imagine yourself soaring on board the flagships of the USAAF Strategic Bombing fleet of WWII. Take your position in the crew and experience a taste of what it may have been like in WWII. Sit as bombardier, stand as waist gunner, monitor flight activity as a flight engineer would as you observe the pilots flying the mighty bombers. You can wander through the plane as you like. Every flight helps to defray maintenance and operations costs for the aircraft that have reached over $4000 per operating hour per aircraft. Maintained to the highest standards and flown by highly experienced pilots, our aircraft safety standards are second to none. A Flight Experience is an exciting and historic opportunity. 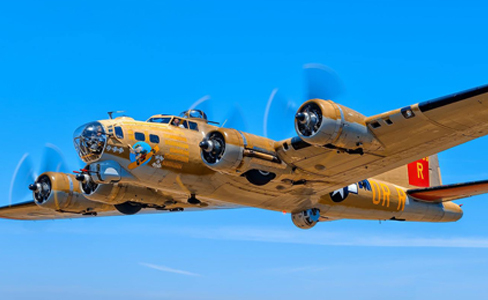 The B-17, B-24 and B-25 have been known worldwide as the backbones of Allied airpower of WWII and now is your chance to fly aboard! Some of the questions you may have may be answered below. What is a Flight Experience? 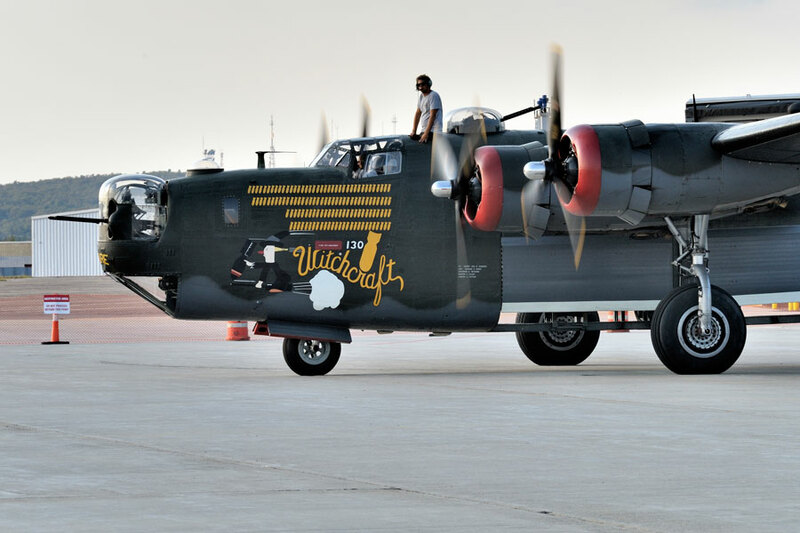 A Flight Experience on the B-17 Flying Fortress, the B-24 Liberator, or B-25 Mitchell is a 30 minute (start-up to shut-down) experience in flight aboard the aircraft at one of our 100+ locations we stop at per year. For both people with or without a pilots license – We also offer flight training in the world’s only full dual control P-51C Mustang fighter! 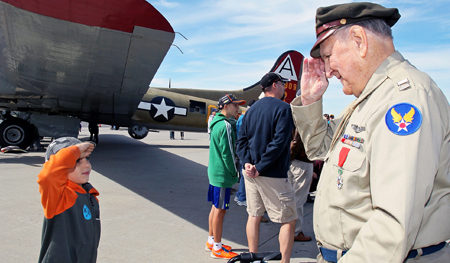 Each 30-minute B-17 or B-24 Flight Experience is $450.00 per person (for B-17 & B-24). 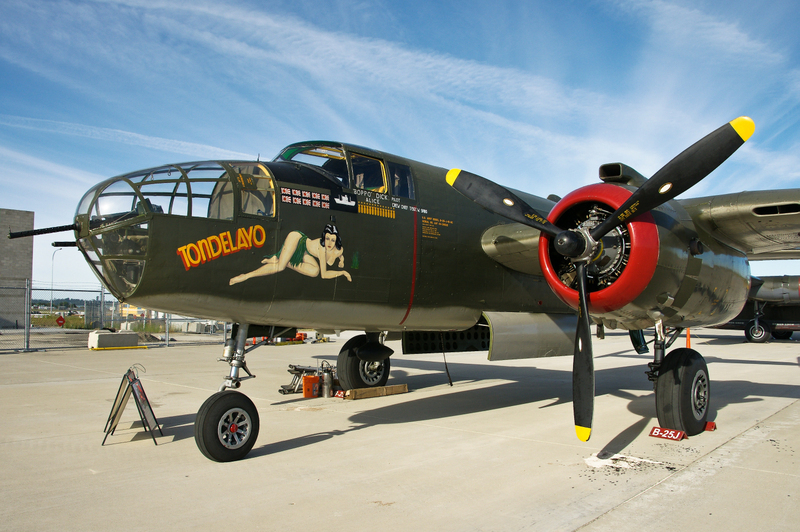 30-minute B-25 flights are $400.00 per person (check schedule for B-25 at select locations). 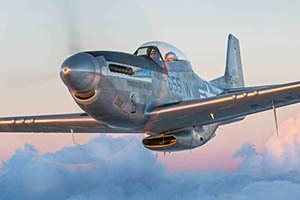 TF-51D Mustang flight training: 30- minute P-51 flight training is $2400 and one hour is $3400. This is a very rare full dual control TF-51D Mustang! You have an opportunity to get flight instruction in this very rare fighter aircraft. How many people can the planes hold? P-51 has one seat for the pilot and one for the trainee. How can I schedule a flight? Please review our schedule online here. You should call us at 800-568-8924 in advance of the visit to schedule a spot on an upcoming flight at a given location. Most flights occur in the early morning before 9 am or later in the afternoon near 5 pm. Flexibility is key to scheduling a flight as weather and passenger loads may change. If you call and are given a voice mail recording, please leave contact information and the coordinator will get back to you as soon as they can. I would like to give a flight in the upcoming year as a gift, how can I do this? A flight certificate can be purchased from the Collings Foundation online store. These high-quality certificates are perfect for gifts and special occasions. Flight certificates can be used for any flight at any location, however you will still need to call to schedule a spot on a flight at a location. Please visit our online PX for ordering info. What is the sequence for each flight? Please arrive one hour prior to your scheduled flight time to get acquainted with the aircraft and crew. You will be asked to fill out a form and pay at this time as well. Your flight engineer for the flight will discuss aircraft safety with you and the other riders beside the aircraft 20 min prior to engine start. All seating and flight procedures will be discussed at that time. You will then be taken aboard the aircraft and seat-belted for takeoff. All passengers must be seated and secured for engine start, taxi, and takeoff. Once the aircraft is airborne, you will be allowed to walk about the aircraft as you like. Take this time to visit the various compartments of the aircraft like the nose, cockpit, waist, and tail sections. Explore as much as you like and feel free to take pictures and video. You will be allowed into the cockpit section during the flight to observe the pilots, but will not be allowed to sit at the controls or interfere with the pilots during the flight. A signal will be given to secure yourself for landing. All passengers must be seated and secure for landing, taxi, and engine shutdown. The flight engineer will help you exit the aircraft after shutdown and securing the aircraft. What should I bring or wear? Please try not to bring baggage of any type on board as space is tight. Cameras and camcorders are allowed. Smaller snapshot cameras tend to work best as the tight spaces may be difficult for larger 35 mm cameras and equipment. We are sorry, but the Collings Foundation is not responsible for the loss or damage of items such as cameras in flight. You may consider bringing foam ear plugs for hearing protection as the flight is quite noisy. The aircraft can be drafty at times, so you may consider bringing a light jacket or sweatshirt for the flight.